Community-powered WordPress news aggregation site ManageWP.org has been in action for one week and people are loving it! Upon first hearing about the project in mid-August, I was very interested in the idea and wanted to learn more. I signed up right away to be a beta tester, but for some reason I didn’t get an email back. So I wrote about the news of ManageWP having an aggregation site in the works, without yet having the chance to test it. 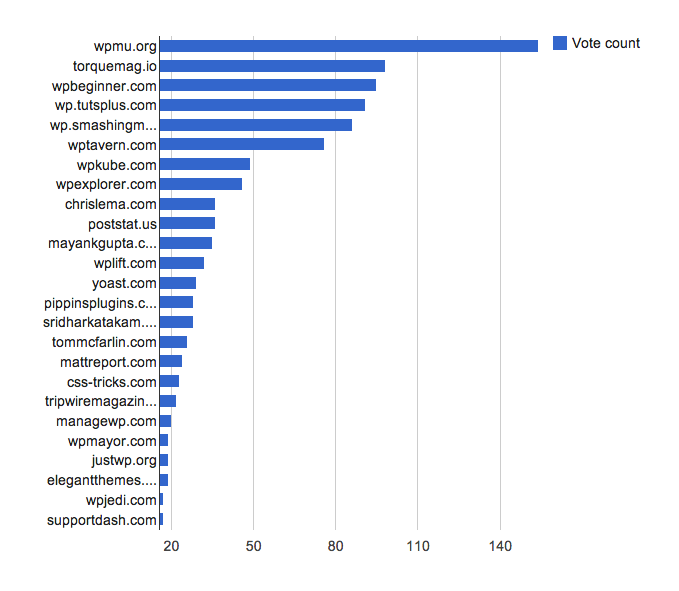 Instead, I focused on finding out how people were currently organizing and consuming their WordPress news on their own, without an aggregator. What I found out was that most people were relying on their Twitter feeds. But it wasn’t that they necessarily *wanted* to use Twitter for this purpose, it was that there was no other obvious, uncomplicated option out there. … and now there is! The site is a simple, clean, one-stop spot for community-selected, ranked, and aggregated WordPress content. After poking around ManageWP.org myself—and really liking what I saw—I entered a couple articles, and upvoted some more, to experience and gage the process. Seemed efficient, straightforward and simple. All good things. I reached out to creator Vladimir Prelovac, whom I saw recently at WordCamp Europe, and he kindly offered to answer a few questions for all of us to learn a little more about the site. Me: Can you tell us how this idea came to be in the first place? Vladimir: There is a lot of high quality content written on WordPress by blogs such as yours and many others, as well as great number of individual bloggers, developers, designers that are producing fantastic tips every day. I wanted all this to be easily reachable to the average WordPress user and the only way to do it is to build ManageWP.org as a gathering place. 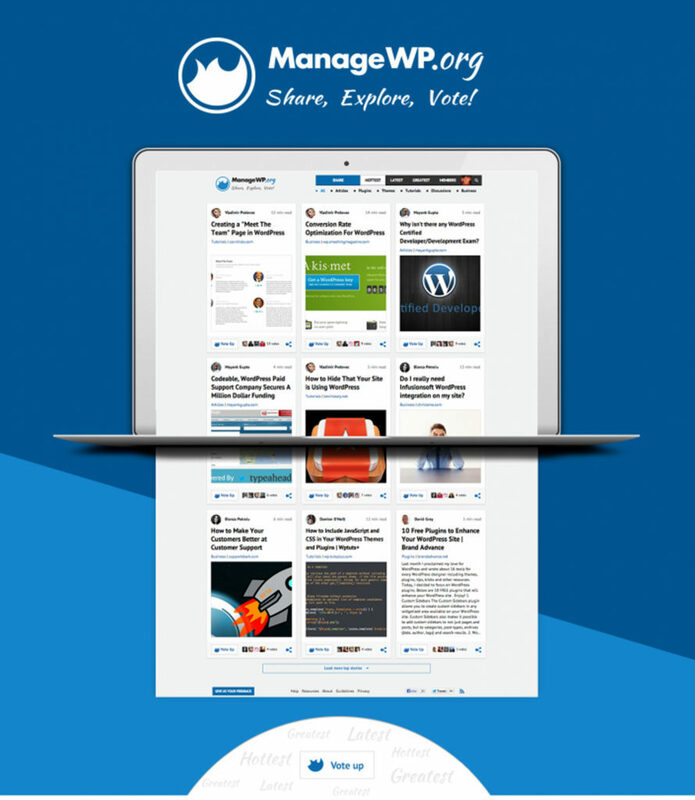 Did you find that world of WordPress news was too dispersed and/or hard to navigate? Yes, that was exactly what triggered this idea. Being on top of things when you run a WordPress based company is of great importance. I used to read about a dozen of RSS feeds and use apps like Zite to find interesting WordPress content. So when I looked at the problem, it was a no-brainer that the community needed a place where all the best stuff is kept in one place. Sites like this have had mixed success; one could argue that Reddit and Hacker News have been successful, but Digg and Propeller were not. What, if anything, have you learned from these sites? For example, is there anything specific from a certain site that you will or will not emulate? Our inspirations for the site were Inbound.org (community part), Zite (accessibility on mobile devices) and Upworthy (stickiness). The advantage of ManageWP.org is that it is very niche. We built it the best we could, and we hope that it will provide useful for the WordPress community. Yes we thought a lot about this. I do not mind somebody promoting their stuff if it is an established publisher with high quality content. The problem are spammers. We fought that the same way Google does through an iterative algorithm that is very similar to PageRank. In order for an article to show, you need “karma” and you get karma by being active and recognized user on the site. Also we have strict quality guidelines, and not everyone can post – we approve posting privileges to each user that applies manually. We hope that should do the trick. Are you planning on ever allowing “sponsored stories” or any other advertising? I wouldn’t say categorically no down the road, but it’s not what we had in mind when we built the site. In the future I do want to promote publishers and other companies that are contributing to the WordPress ecosystem. Maybe similar to what WordPress.org is doing via a special page or something similar. On the launch day we had around 4,000 visitors and got about 400 users. In the first two days we were averaging about 50 stories submitted per day which surprised me. We want to be transparent with all stats, so we opened a special page on the site where you can also see top publishers by upvotes. We will add more stats like these in the future. I’m curious about your distinction between “article” and “business.” Can you explain your thought process on this? Business category was suggested by Chris Lema to cover all things related to running a WordPress business. I thought it was a great inclusion as this would be first time to have those kind of articles found in one place, and it is the category that I am most excited with. Articles are just general category for everything that is not in the other four. We might need to consider renaming it though. *note: ideas? Well with Torque, we decided to separate our content into 5 verticals: News, Business, Community, Development, and Create. The only problem we have had with this is that a lot of articles fall into more than one category. And all News articles *could* also go into another category. Another thing is that when people come to the site they might not realize that all 5 verticals are being updated, and not just the upper left section, which just happens to be News. It can get complicated! By the nature of the site, all posts on ManageWP.org are news, so we did not need a separate category for that and that also helps remove some confusion I guess. The trick is to get people to submit to the correct category. Also, I really like that you chose not to include comments. Can you tell us about this decision? That is one of the things we have chosen not to emulate from other sites. The reason is that I feel that comments belong on the article itself and that we are not adding value by taking them away from the publishers. I want the publishers to benefit from the site in every possible way (from traffic, exposure, etc.) as I think they are the crucial part of site’s own existence. Can you tell us more about the advanced iterative algorithm (in layman’s terms)? Sure; it’s pretty simple to explain but very complicated to implement. The author rank is the base of the system. You increase your rank (or get “karma” as I call it) each time a story that you upvoted (or shared) is upvoted after you by another user. This encourages users to share and upvote the best stories, that others are also likely to upvote. Article rank and position in the system is then determined based on the karma of all the users that upvoted it. 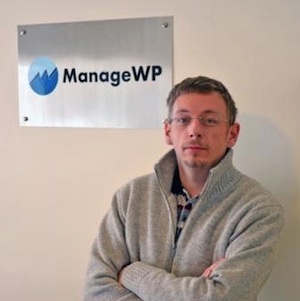 Thanks Vladimir and I look forward to referencing and utilizing ManageWP.org in the future! Have you all tried ManageWP.org yet? If not, be sure to check it out! Let us know what you think in the comments section below.